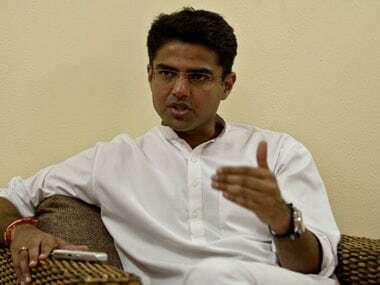 After his party won the three bypolls conducted in Rajasthan, the state's Congress chief Sachin Pilot spoke to Firstpost about the Congress's performance and the BJP's shortcomings. Pilot believes the people of his state have seen through the communal and divisive politics of the BJP. He is also confident that the people of Rajasthan and of the country as a whole will give a befitting reply to the ruling party in the coming Lok Sabha elections. With the recent victory in the bye-elections in Rajasthan, do you feel the idea of the BJP being an election-winning machine has finally been brought into question? It is true that the BJP claims to be a well-oiled electioneering machine but this is a myth that we have been able to bust. The elections were held in three geographically different parts of the state. Alwar lies in the eastern part of Rajasthan, Ajmer in the central while Bhilwara lies in the West. We won in all three regions and in the 17 Assembly segments. They had the entire government machinery at their disposal. We cannot forget that they have been in government for the last four years and came to power with a full mandate. They had all the money power at their command. But the fact is that Chief Minister Vasundhara Raje is extremely unpopular in the state. Well, the BJP has made her the Chief Minister of the state, I have not made her Chief Minister. In the last Lok Sabha elections, the BJP won all 25 seats in Rajasthan and are well represented in the Cabinet. We have three to four Union ministers from this state. But the writing is on the wall for the BJP as far as Rajasthan is concerned. The people will side with the Congress for a better future. You have claimed that the BJP is now on the back-foot but actually it is the Congress which is on the back foot. Tripura, to cite an example, is going to the polls but you have no presence there. The BJP is using money power and state machinery to generate crowds. This is their strategy across the country. Do you see the developments in Rajasthan impacting the Karnataka polls? Victory in any elections is bound to give our Congress workers a lot of strength. The results of the Rajasthan election will have a positive impact in the coming Karnataka elections. Our victory in the Punjab elections also gave us a lot of strength. I also believe that Rahul Gandhi’s aggressive campaigning has put the BJP on the backfoot. Traditionally, the ruling party in Rajasthan has generally won the bypolls. What do you think went wrong with the BJP this time? The Congress has not hesitated to take a principled stand on various issues such as unemployment, agrarian distress and corruption. The BJP, on the other hand, has blatantly tried to polarise and communalise the elections but the public did not fall into this trap. This shows the maturity of the Indian voters. Is the Congress going to declare its chief ministerial candidate in Rajasthan given that they have done so in Karnataka? Traditionally the Congress does not announce the name of the chief ministerial candidates in any state barring a few exceptions. I think this question should be asked of the BJP which has not announced Vasundhara Raje as its chief ministerial candidate in Rajasthan in contrast to Karnataka, Madhya Pradesh and Karnataka where these decisions have been made public. That Rahul Gandhi handed you the Rajasthan Congress after the last Assembly debacle suggests two things: he wants to bring in new blood and ideas, and signal to the old guard that change is in the air. 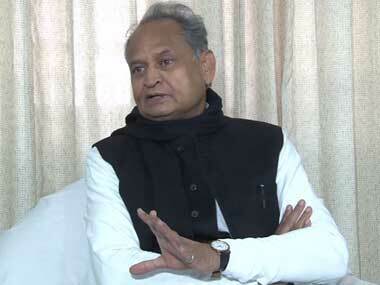 Has this affected your working relationship with Ashok Gehlot? And is it really true that the old guard is ready to make way for the young blood? Rahul Gandhi wants to have mix of the experience and new faces. He wants people from every age group to play an active role. He wants a rainbow coalition, a mix of everyone. In Rajasthan, it has been a sustained effort during all these years and this can only happen when people from all communities join hands in supporting and strengthening the Congress. Let's go back to the immediate aftermath of the Ajmer Lok Sabha bypoll. If you remember, Raghu Sharma fell at your feet seeking blessings after he won. 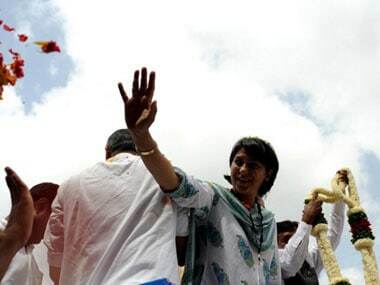 A lot of political observers saw this as a sign of your ascendancy within the party. I know the Congress high command will decide who leads each state it runs but do you believe Sharma’s gesture is indicative of the fact that you’re ready to take charge of Rajasthan? I think it was an emotional act done on the spur of the moment. We worked as a team. If we were not united, we would not have won. This is all false propaganda being spread by the BJP. You have to admit that Prime Minister Modi remains the most popular leader in the country. Do you think Rahul Gandhi can prove an alternative to Modi? Rahul Gandhi is providing a strong alternative leadership to Modi. Modi cannot keep blaming the Congress for all their wrong doings. Rahul Gandhi is aggressively asking tough questions in challenging the motives and actions of the ruling BJP. He is holding them accountable and he is taking them on fearlessly. 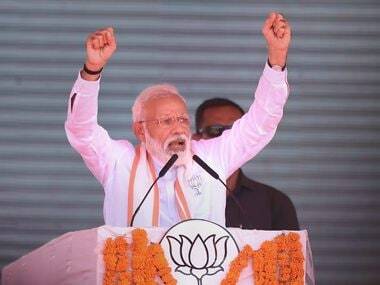 He is giving a lot of energy and confidence to the people. But what is the alternative the Congress is offering to the BJP? Rahul Gandhi has already said that if the Congress is voted back, we will provide a simplified GST, we will ensure our international borders are more secure. We will improve our national security and will work towards strengthening our economic and foreign policies. The Congress does not believe in making promises, we believe in delivery. We will go with a report card as to who governed better. Do you see the likelihood of the Opposition parties coming together to form a united front against the NDA in the coming general elections? All the political parties opposed to the BJP have to come together at the national level. All the parties will have to unite for the larger good of the country in order to launch a frontal attack on the BJP. The Congress will be a pivot around which the other parties come on this platform. The question that needs to be asked is how has the NDA fared. The BJP has parted ways with the Shiv Sena, the TDP is on the verge of a walk out and even the other allies have openly express their resentment. Despite being in power, the BJP cannot hang on to its own allies. The Congress claims to be pleased with its performance in Gujarat but the fact is that though you made a dent in the BJP’s election machinery, they still emerged as the winner. From 116 seats in 2012, the BJP was reduced to two digit figures. The Congress has succeeded in putting the BJP on the backfoot. The BJP’s failures are there for everyone to see. They have failed to provide jobs, stem the tie of agrarian distress curb black money, handle China or Pakistan. People are tired of their jumlabaazi. The people of India are asking questions to which they have no replies. 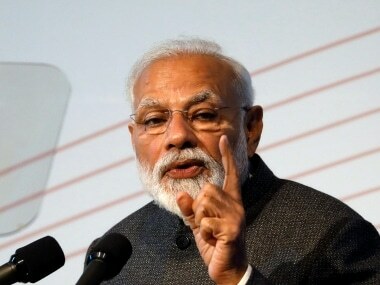 Where do you think the BJP has failed the Indian public and what are the issues that the Congress hopes to raise in order to do well in the coming general elections? The BJP came to power promising the moon but on the ground their execution has been close to zero. The people want a government that actually delivers as opposed to a government that is good at making speeches.